8kg Heat Pump Condenser Dryer is rated 3.0 out of 5 by 2. 8kg Ultimate Care Heat Pump Dryer with 5.5 Stars Energy rating, Advanced Sensor Dry, reverse tumbling action and Refresh cycle. The innovative Heat Pump System is kind to your clothes and your energy bills. 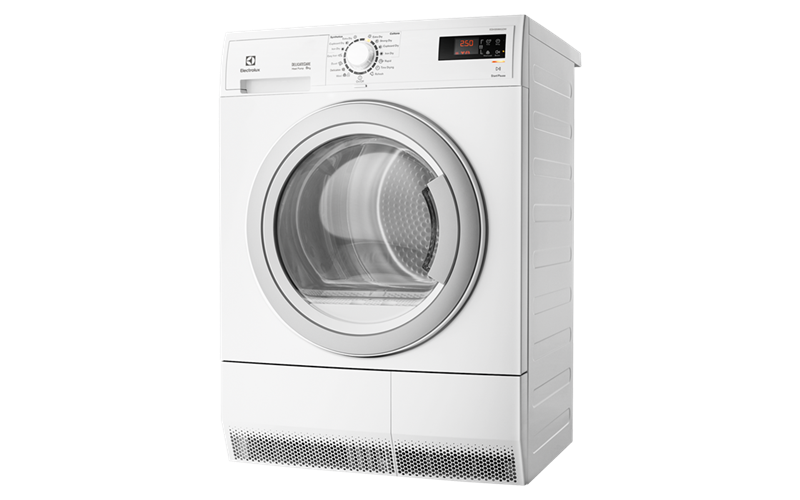 Designed for increased energy efficiency and exceptional performance, our dryer uses significantly less energy compared to our standard condenser and gently dries clothes at a lower temperature. Rated 1 out of 5 by Pippin from Don’t Buy !!! You’d think from a reputable seemingly high end whiteware company that you were purchasing a quality product. After 2 + years of never ending problems we have just scrapped this dryer and cut our losses. Often wouldn’t start or finish a dry cycle. Would try restart if dry cycle not finished and it wouldn’t. Poor to no after sale support. Had the circuit board on the control panel replaced at our cost but with no improvement and the loss of a couple of function options eg manual time Buyer beware !!!! !